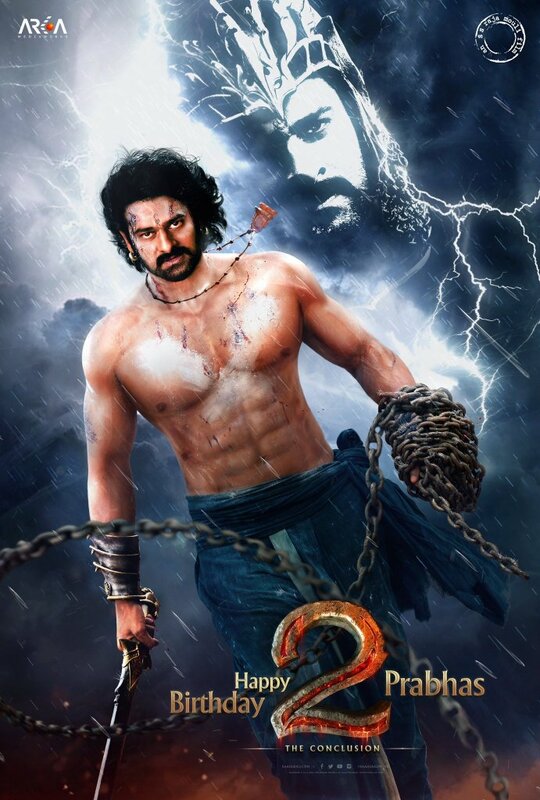 Baahubali (Bahubali) 2 video leaked online. It is climax war scene clip. Firstly, it showed up on YouTube but got deleted soon due to copyright issues. Later on, it came on Twitter, Facebook, and now going viral on WhatsApp where the makers can’t stop it in any way. The filmmakers certainly will not like the fact that it is going viral on social media before the actual release. They haven’t revealed the complete story and the most guarded secret “Why Katappa killed Bahubali.” It may be the crux of the movie. The shooting has been done under strict vigilance to avoid any misfortune. Check: Baahubali 2 Release Date. If it is the case, then most probably someone from the unit itself has leaked the video of very crucial climax scene of the movie. It won’t be seen on YouTube now but can be seen on Twitter as many are sharing it with hashtags like #Baahubali2Leaked and #Baahubali2LeakedWarScene. However, the leaked video is not so clear, but Prabhas can be seen preparing an army for a war. With high VFX, the action sequences in it will be seen with clarity in the final print. The video is a raw footage as it shows the star cast shooting on the film set itself. It also stars Anushka Shetty. It must have been a shocker for the makers as they have been protecting Baahubali 2 with utmost care. They are taking strict measure to stop leaking any detail of the film going out. Fans are also expressing their concern for the movie. Shobu Yarlagadda and Prasad Devineni, the producers, immediately lodged the complaint. Following the case, Jubilee Hills police in Hyderabad arrested the video editor. The person in the film’s graphics unit has been arrested on the charges of breach of trust. The graphic designer was employed to Hyderabad’s Annapurna Studios. Earlier in September, despite banning digital devices like camera, phone, etc. some unauthorized pictures (images) were leaked. However, after watching the five minutes video which was streamed on YouTue, the producers realized that it could be stolen only from the Annapurna Studios where it was given for design purposes. It was found that Krishna Day and Chowdary, a trainee at the said Studios stole it by logging into the server. The cyber crime team rushed to Krishna’s house in Tolichowki yesterday morning and found Baahubali 2’s two video clips of nine minutes length in total. Later on, he confessed sharing it with two of his friends Aishwarya and Akhil of Vijayawada on Monday night through WhatsApp. The team made Krishna call both his friends. It was found that the clippings sent were the same found on his computer having the same duration and same audiovisual content. The team made him and his friends delete the content. Police seized Krishna’s computer, mobile phone, and pen drive. Based on the complaint, the police has registered a case against Krishna under sections 43 (b), 66 of the IT Act and section 63 of the Copyright Act. The producers have asked YouTube to block Baahubali 2 footage so that no one can stream and upload it online. Also, they will ask the IP address and account details of the video uploader as told by the ACP. The 25-year-old Krishna lives in Sattupally in Krishna district of Andhra Pradesh. Police are still looking deep into the case. Directed by SS Rajamouli, it is set to release on April 28, 2017.